Happy 1st day of July! Hard to believe we're already 1/3rd of the way through meteorological summer. 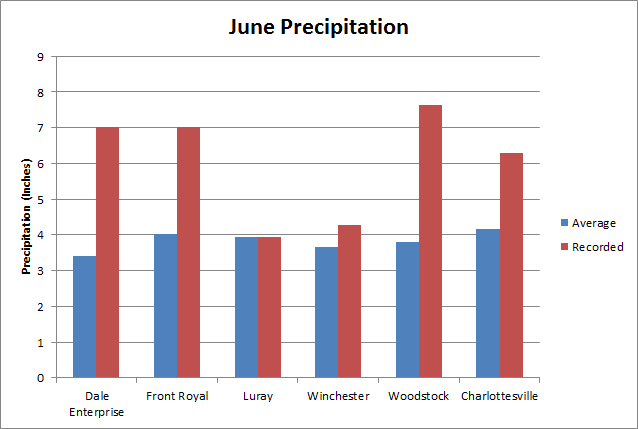 Looking back at June, we had quite the swing in temperatures. 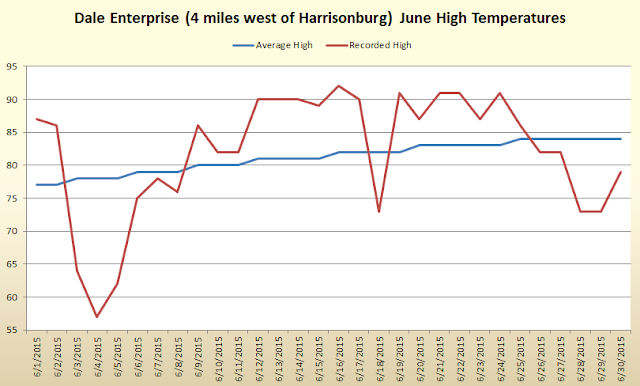 It started chilly under a slow-moving upper level low, eventually transitioning to a prolonged heat wave as the southeast ridge reared its ugly head. 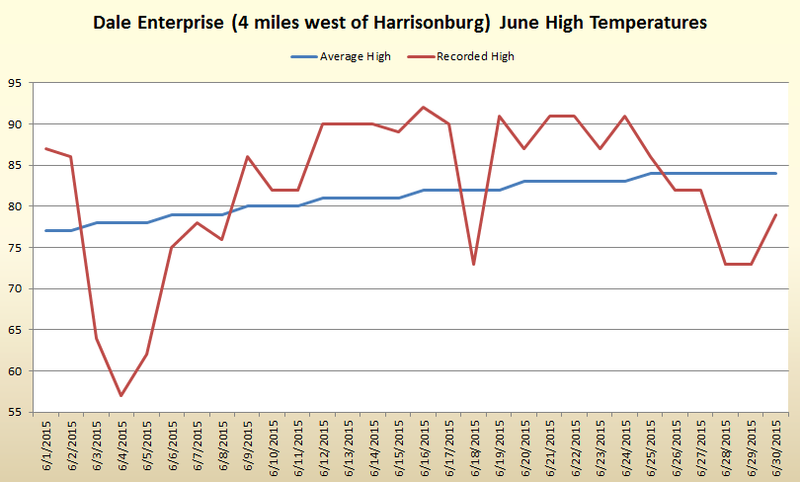 In the end, heat won out with the Dale Enterprise Station (just west of Harrisonburg) finishing 2.2 degrees above the monthly average. Looking ahead at July, looks like ridging over the west and troughing over the east will continue through the next 1-2 weeks or so before eventually breaking down by mid-month. This will keep things wet with temperatures at-to-below average. A lot of our rainfall will come from weak cold fronts that swing down and get hung up across the mid-Atlantic Even as the pattern breaks down, the CFS (Climate Forecast System) model likes temperatures over the east to remain at to below average with precipitation at to just above average with additional troughing digging in time to time...hard to argue since this is typical during strengthening El Nino years.